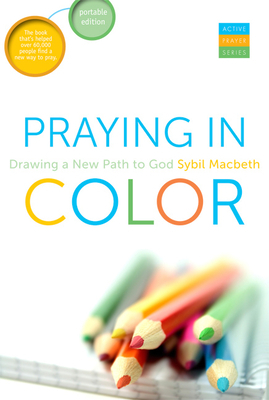 Praying in color can take as little or as much time as you have or want to commit, from 15 minutes to a weekend retreat. “A new prayer form gives God an invitation and a new door to penetrate the locked cells of our hearts and minds,” explains MacBeth. “For many of us, using only words to pray reduces God by the limits of our finite words.” Maybe you hunger to know God better. Maybe you love color. Maybe you are a visual or kinesthetic learner, a distractable or impatient soul, or a word-weary pray-er. Perhaps you struggle with a short attention span, a restless body, or a tendency to live in your head this new prayer form helps to communicate with God. This smaller, “portable” edition has also been revised and updated by the author for the new format.